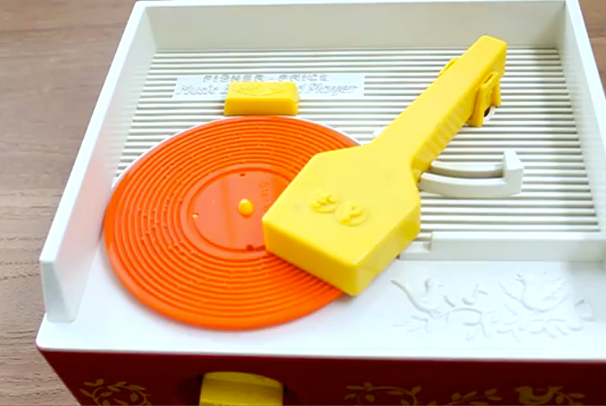 If you still have your classic Fisher Price record player, then you’ll no doubt recognize those plastic discs that play songs much like a music box. There are nubs in the oversized groves of these miniature plastic records, and they pluck the tines that make up the needle of the toy record player. Instructables user Fred27 decided to make his own custom records for the classic toy using his milling machine. Fred27 even wrote a program that lets you convert music notes into a format that the player can handle, and place them on a pre-sized record ready to mill. If you don’t have a milling machine, and still want to make your own records, a 3D printer might provide a viable alternative, but you’ll have to tweak his open source code first. The ABS plastic that 3D printers typically use might be a bit too brittle to support the nubs, though, so your mileage may vary. I love hacks like this that take old toys or gizmos and revive them in creative and interesting ways. It doesn’t even have to be particularly useful either--it could just be people working with the tools they have to make neat things. What other old toys would be cool to hack and bring back from the dead? Leave a comment.